Caroni SpA has been making history for more than half a century, in pursuit of innovation inspired by tradition. Since Stefano Caroni founded the company in 1954 it has evolved from performing simple mechanical work on contract to manufacturing components for major automotive industries, industrial vehicles, farm machinery and earthmoving equipment. The history of Caroni SpA is a history of commitment, professionalism and rigor. 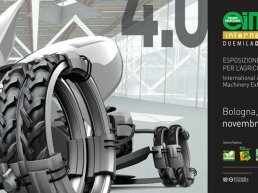 Ongoing research and improvement of performance has made Caroni a modern company active in a variety of different but complementary fields which reinforce one another: production of components for the Automotive industry and of sheet metal machining tools and dies, design and manufacture of mowers and agricultural machinery of all kinds. International, or rather, global in scope, Caroni travels a lot on roads all over the world thanks to the trust placed in us by some of the world’s major automobile manufacturers, including Daimler, Iveco, Volvo, Fiat and John Deere; its agricultural machinery for cleaning and maintenance of green areas keep the company going even off-road; and red Caroni mowers, flail mowers and rotary tillers machines stand out on the fields of Europe and all over the world thanks to the efforts of 214 importers and distributors. Components for industry, obtained both through cold working of sheet metal and high volume mechanical machining, represent Caroni Spa’s primary sector of business, and its first concern historically. In June 2014 Caroni Spa finalised the purchase of the Cuneo plant of Algat Srl, a company undergoing liquidation proceedings. The purchase strengthens and expands the company’s range of components. Creating the CaroniAS – Automotive Solutions – Cluster. 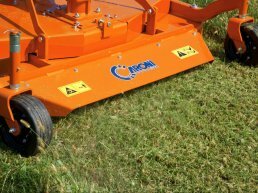 Caroni agricultural machines can be used on every type of tractor and all types of ground, for the maintenance, preparation and cleaning of green areas: from parks to motorway grass verges, golf courses, sport grounds, flower beds and domestic gardens. Caroni SpA is an international, multi-sector company representing a reliable benchmark in the design and production of specialist agricultural machinery for the management of green areas, and in sectors which reflect the company’s origins and its ability to evolve: industrial components and production of tools and dies for sheet metal working. 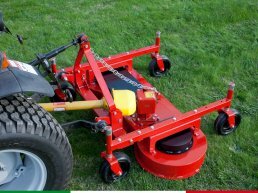 The high technology used in the construction of the agricultural machinery, their versatility and safety, have built their success in Italy and abroad, from United States to Japan. The merit of this achievement is to be ascribed also to the readiness to develop tailored solutions in partnership with customers, and to the ability of developping innovative products that can optimize time and costs, while maintaining the highest levels of performance. Close to its customers wherever they are, Caroni Spa has an extensive distribution and after-sales network consisting of dealers in Europe and many importers all over the world. Write to us, we will be happy to contact you as soon as possible.